Tsai, Shu-Ling, Michael L. Smith, Robert M. Hauser. 2018. “Gender Gaps in Student Academic Achievement and Inequality. 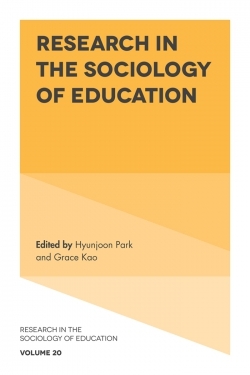 Research in the Sociology of Education, Vol. 20: 181-218. Buy entire issue on Amazon.com here or download PDF here. Results from international large-scale assessments, such as PISA surveys, suggest that boys do better in math and science, whereas girls do better in reading. How do gender gaps vary across subjects, when estimated simultaneously? Building on the work of Tsai, Smith, and Hauser (2017), we answer this question by applying a multilevel MIMIC model that enables us to estimate gender gaps in two ways: gender differences in the effects of observed family and school factors on math, science, and reading scores; and the “adjusted” gender gaps in test scores across all three subjects after controlling for observables. We apply the model to 2012 PISA data of students aged 15-16 and enrolled in 9th or 10th grade in three East Asian (Japan, South Korea, and Taiwan) and three Western countries (USA, Germany, and the Czech Republic) that represent both similar and different types of school systems. Our findings indicate that the gender gap in math or science achievement in Western countries, favoring boys, does not necessarily apply to the East Asian countries examined here, while all three East Asian countries exhibit similar features of gender reading gaps in the 10th grade. There is evidence indicating that background and school factors impact boys’ and girls’ achievement in a similar way in USA, Japan, Korea, Taiwan, and the Czech Republic, but not in Germany. Overall, gender differences in family and school influences do not account for gender differences in academic achievement in any of the six countries. This study examines the role of cognitive skills on labor market outcomes in 14 developed countries. In contrast to standard Mincer-type regressions, we utilize a structural modeling approach that can take into account different types of skills on different economic outcomes. The results, based on data from the OECD PIAAC project, provide strong evidence that the income returns to adult cognitive skills are substantially large across the OECD, net of education, occupational status, gender and family background. However, the size of these effects, particularly in comparison with returns to education, vary greatly across countries. While in all countries examined education is strongly associated with cognitive skills, those skills translate into more prestigious occupations and higher incomes in countries that can be tentatively described as more innovative, as well as have less stratified educational systems. We discuss potential explanations for this, which can serve as a basis for further research. Early-tracking systems naturally divide many classes of 11 years old students into two groups:students preparing for exams to enter better schools and everyone else, who decide not to compete for selective schools. Utilizing TIMSS data and a follow-up study in the Czech Republic, which has an early-tracking system similar to other European states following the German model, we show that this environment has a detrimental effect on the self-confidence of pupils in mathematics who do not apply for selective schools but have peers in their classroom who do apply. In particular, we show that girls who do not apply for selective schools experience a 11% drop in confidence in mathematics if they have four applicants among classmates and this effect is even larger if the applicants are successful in the admission process. We focus on self-confidence in mathematics as an outcome variable because the literature suggests it is directly linked to pupils’ motivation to study STEM fields as well as subsequent educational achievement. Our results suggest that the decrease in self- confidence among girls is long lasting and implies that gender gaps in self-confidence can be a result of the competitive environment of the educational system. Tsai, Shu-Ling, Michael L. Smith, Robert M. Hauser. 2017.“Families, Schools, and Student Achievement Inequality: A Multilevel MIMIC Model Approach.” Sociology of Education 9 (1): 64-88. https://doi.org/10.1177/0038040716683779. Download PDF here. In this paper, we examine inequality in different dimensions of student academic achievement (math, science, and reading) by family background and school context in three East Asian (Taiwan, Japan, and South Korea) and three Western (USA, Germany, and the Czech Republic) nations. Based on Hauser (2009), we develop a MIMIC model with a two-level HLM specification, which allows us to explicitly test whether the several academic achievement constructs respond similarly to variation in family background and among schools and countries. We apply the model to 2012 Programme for International Student Assessment (PISA) data. We find that the impact of family background and school attended on math, science and reading performance can vary greatly within a country, and that in some countries performance inequality is largest in subjects with the highest mean scores, suggesting a modest trade-off between inequality and efficiency. 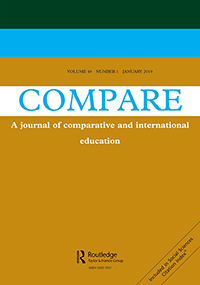 We compare the role of gender, socio-economic background and measured ability on students’ secondary school placement and professional expectations in Taiwan and the Czech Republic, two countries that have experienced substantial reforms in their educational systems in the context of political change and economic development. Using data from the international PISA (Programme for International Student Assessment) 2006 survey of 15-year olds, our analysis reveals that Czech academic upper-secondary schools are much more selective in terms of socio-economic background and gender than comparable Taiwanese senior high schools. Controlling for measured ability and other factors, students’ professional expectations are also more closely linked to socio-economic background and gender in the Czech Republic than in Taiwan. Consistent with dual-process models of behaviour, Miles (2015) has shown that Schwartz’ basic values can provide a valuable framework for empirically analysing the role of values and cultural contexts in driving human behaviour. We contribute to this line of research by distinguishing individual values from macro-level values, as well as from other micro and macro conditions, in order to test whether individual values shape women’s work-family orientations in ways predicted by Hakim’s preference theory. We do this by carrying out a multilevel analysis of 25 European countries using data of the second round of the European Social Survey collected in 2004. In line with the dual-process model and preference theory, we show that internalized values, particularly conservatism, shape work-family orientations much more than national social and cultural conditions; in addition, the effect of women’s education on work-value orientations is stronger in countries with more conservative national cultures, suggesting that education may help women overcome social barriers in the choice of their work-career preference. While values may shape work-family orientations differently in non-European or less affluent cultures, these findings reveal the importance of bringing values back into the analysis of individual preferences and behaviours towards the labour market. 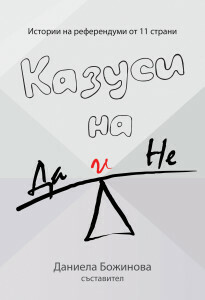 Mateju, P., D. Hamplova, P. Hampl, M. Louzek, S. Weidnerova, P. Anyzova, M L. Smith. 2017. Moc krásy: Pomáhá krása a atraktivita k životnímu úspěchu? [The Power of Beauty: Does Beauty and Attractiveness Help Achieve Life Success?]. Buy the book here. This book addresses the important issue of the degree to which perceived attractiveness influences labor market success and other societal outcomes. To address this issue, we fielded a battery of questions on perceived attractiveness, self-image, self-confidence, personality traits, and many other issues in a follow-up survey to the PIAAC study. Different chapters examine how perceived attractiveness, net of education and other more commonly measured dimensions of human capital, greatly impact incomes, marital relationships, occupational status, subjective well-being and an array of other outcomes in Czech society. At first glance, studying the role of beauty or physical attractiveness may seem a less serious endeavor than, for example, analyzing education, income or health. This books suggests otherwise: investments in our physical attractiveness – both in terms of how we look from the outside as well as how we feel on the inside – are powerful determinants of income, social status, life satisfaction, and who we have relationships with. Whether we like it or not, beauty matters, and deserves serious attention by both social scientists and lay people. Smith, Michael L. 2016. “Czech Republic – Environmental Sustainability via Direct Democracy [In Bulgarian]” Pp 93-105 in Daniela Bozhinova (ed. ), Cases of Yes and No: Referendum Stories from 11 Countries. Burgas: Bulgarian Association for the Promotion of Citizens Initiative. ISBN: 978-619-90487-1-9. The book chapter in Bulgarian is available here, and the original English version is available here. This chapter overviews the referendum campaigns and results for 21 local referendums in the Czech Republic from 2004-2008, all of which concerned the siting of wind power plants in the municipality. The chapter overviews the way wind power has been variously framed by local activists and politicians, places these referendums in the context of Czech energy policy at the time, and points to factors that help generalize the pattern of outcomes in these referendums. The chapter concludes that local referendums on wind power plants are not shaped by e.g. demographic factors, but rather by how politicians and activists appeal to resident’s fears, values, experiences, and hopes for a more prosperous community. The lack of social capital – particularly in the sense of residents’ distrust of outsiders, such as the claims made by power plant operators – is also a prevalent condition in these communities, though it can be tempered by residents’ trust of their local leaders. These fears, values and experiences are also shaped in the context of social transformation, as residents who have travelled more broadly in the West seem to be less fearful of wind farms, whereas opponents of wind energy tend to think of the Czech idyllic landscape as unique and in need of preservation in its entirety. This paper examines gender gaps in academic performance (grades in math and reading) between boys and girls of 9th grade elementary schools in the Czech Republic. Our analysis is based on data from the PISA 2003 student assessment, encompassing the academic performance and family background of about 5800 9th grade pupils. Similar to research on other countries, we find that girls strongly outperform boys in grades in Czech language, but that this gender gap is not explained by measured ability in reading (based on the PISA assessment), nor on family background or student attributes. We also find gender bias in math grades, after controlling for measured ability and other factors. Girls are also substantially more likely than boys to apply to secondary grammar schools, as well as aspire to a college education, even after controlling for measured ability. Based on secondary literature, we put forward a number of theoretical perspectives that shed light on the possible causes of these empirical findings. In this article, we analyse initiatives organized by groups outside of formal politics that involve political confrontation with elected officials, and the need for recourse to the courts. We show that a civic initiative submitted by a proposer gives the voter not only the option to constrain the mayor but also the possibility of learning the mayor’s type from the signals conveyed in the legal contest over the validity of the initiative. We show that, ex ante, signalling in the context of legal uncertainty improves responsiveness. In addition, our setup identifies limits to empirical inference based on linear models: first, having a more adversarial mayor can lead to either the introduction or the withdrawal of an initiative; second, although initiatives effectively constrain incumbents, they do not necessarily imply increasing distrust in incumbents. Examples from Central European countries are used to illustrate how our model corresponds to real-world conditions. Smith, Michael L. 2013. “The Local Recall Revisited: An Old Tool for Inclusive and Effective Participation in New Democracies”. Pp. 199-224 in Brigitte Geissel and Marko Joas (eds. 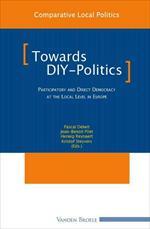 ), Participatory Democratic Innovations in Europe. Improving the Quality of Democracy? Opladen: Barbara Budrich Publishers. ISBN: 978-3847401131. Download PDF of chapter here. Or, get the book at Amazon.com here. In recent years, social scientists have paid considerable attention to the rise of various innovations in the practice of democracy, particularly tools for improving the inclusiveness and effectiveness of citizen participation in politics. However, fewer studies have sought to empirically assess the degree to which such democratic tools actually bring about positive outcomes in citizen participation. This chapter contributes to that agenda by using several different criteria to assess the practice of local recalls in Poland and Slovakia, the only two post-communist countries where the citizen-initiated recall process is legally binding. Based on interviews with activists and political representatives in Polish and Slovak communities, the chapter finds support to the view that, despite the ‘populist’ aspects of the device, the recall process can play a positive role in fostering citizen participation and the restoring legitimacy public office when politicians are perceived to abuse their power. 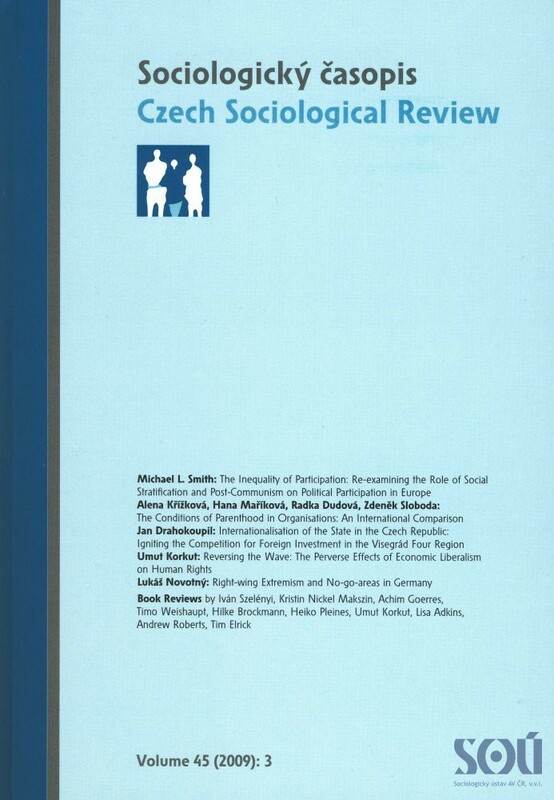 Smith, Michael L. and Vojtech Prokes (eds.). 2013. Regulace lobbingu v České republice. Od myšlenky ke konceptu a implementaci [Regulation of Lobbying in the Czech Republic: From Idea to Concept and Implementation]. Prague: Institute of Sociology of the Czech Academy of Sciences. Download book here. The Czech Republic does not have any law that defines lobbying, establishes rules of proper conduct between lobbyists and politicians, or provides transparency into those relationships. 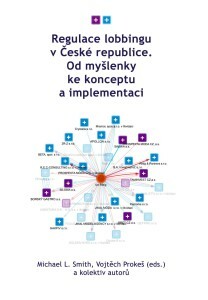 The purpose of this publication is to bring public attention to the importance of the regulation of lobbying in the fight against corruption in the Czech Republic and to present major legislative recommendations in this area that have been supported by Czech non-governmental anti-corruption organizations. In the last four years, major progress has been made in the conceptualization and analysis of lobbying reform by experts, anti-corruption organizations, and the Czech government. What is needed now is implementation. This publication is intended to provide ideas, recommendations, and specific legislative proposals to make a law on the regulation of lobbying a reality. Chapter 1 (by me) overviews key principles of the regulation of lobbying, discusses public support for lobbying reform, and explains the progress made to date in the Czech Republic. Chapters 2 (Agnieszka K. Cianciara) and 3 (Craig Holman) overview legislative reforms on lobbying in Poland and the USA, which offer Czech policymakers positive and negative examples of specific legislative measures. Chapter 4 (Vojtěch Prokeš) reviews the recommendations on lobbying reform by Czech experts in the Roundtables on Lobbying of spring 2011, which was arguably the most important forum that has taken place on lobbying regulation between state officials, lobbyists, and civil society. Chapter 5 (Lukáš Kraus and Martin Fadrný) presents a detailed analysis of specific legislative recommendations that grew out of those roundtable talks, and which have been endorsed by many of the most important Czech anti-corruption organizations, such as Transparency International CR, Oživení, Otevřete.cz, and Inventura demokracie. Lastly, a proposed legislative bill on the regulation of lobbying, developed by the public law organization Frank Bold, is included as chapter 6, and which can serve as the basis of either a new governmental bill or parliamentary initiative on this key anti-corruption topic. Two decades ago, scholars predicted that the economic and political transformations underway in the new democracies of Central and Eastern Europe would be accompanied by fundamental shifts in societal values and norms. Unlike political reforms, changes in societal norms were believed to take place gradually, as individuals became increasingly socialized by new institutions and conditions. In this article, we analyze change in a core set of societal norms—beliefs in distributive justice—in the Czech Republic over the last two decades, and locate those trends in regional perspective. What we find is that, over time, the negative association between egalitarian and meritocratic norms has increasingly strengthened, suggesting a crystallization of those norms as opposing value sets. In addition, attachments to those norms are increasingly structured by respondents’ socio-economic status. 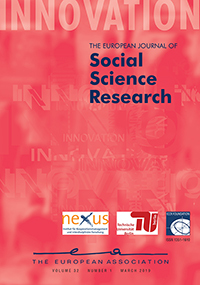 In order words, the research confirms that subjective norms in the Czech Republic are increasingly shaped by objective social status in ways common in advanced democracies, and that we can speak not only of a crystallization of the value system, but of a corresponding ‘‘re-stratification’’ of justice beliefs in relation to social position. 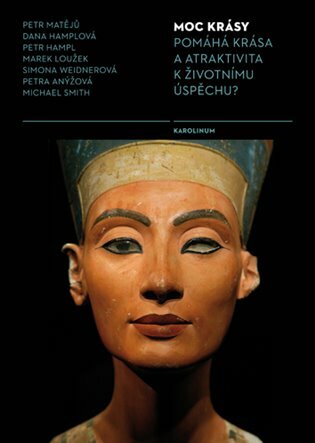 Klimešová, Magdaléna,Radim Bureš, Petr Bouda, Michael L. Smith,Tereza Zběžková. 2012. 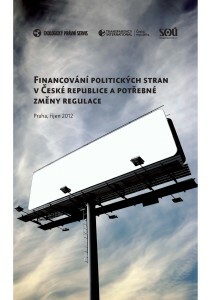 Financování politických stran v České republice a potřebné změny regulace [Political Party Financing in the Czech Republic and Needed Regulatory Changes]. Prague: Institute of Sociology of the Czech Academy of Sciences. Download the book here. AThere is broad consensus that the effective fight against corruption in the Czech Republic requires a comprehensive reform of the system of political party financing. This analysis assesses some of the most needed reforms in this area is a product of intense collaboration and consensus among Environmental Law Service (Frank Bold), Transparency International Czech Republic, and the Institute of Sociology of the Academy of Sciences of the Czech Republic. This analysis first explains the specific problems in party financing that exist under the current legislation. We then provide an anlysis of key policy recommendations in the following areas: the regulation of receiving donations, the regulation of legal entities owned by political parties, the regulation of electoral campaigns, public access to information about the financing of political parties, and the role of audits and sanctions. The legislative proposals we provide are based on best practices from abroad, recommendations from international institutions that the Czech Republic is a member of, and our own legal and policy expertise on the specifics of the Czech situation. Smith, Michael L. and Petr Matějů. 2011. “Restratifikace české politiky. Vývoj třídně podmíněného volebního chování v České republice v letech 1992–2010 [The Re-Stratification of Czech Politics: Class-Based Electoral Behavior in the Czech Republic, 1992-2010]”. 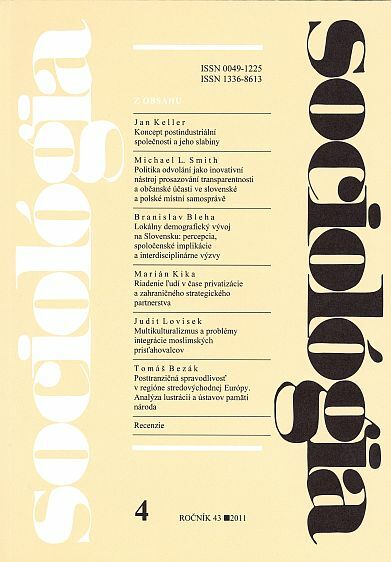 Sociologický časopis / Czech Sociological Review 47 (1): 33–59. Download PDF here. This article examines the development of class voting in the Czech Republic, 1992– 2010. While many Western countries have been experiencing declining or stable associations between class and electoral choice, we hypothesize that the trend in class voting should be quite different in the Czech Republic, and by extension, in other post-communist countries. 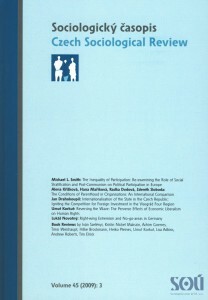 We theorize that if a country is undergoing a process of re-stratification – the process in which class-based cleavages and identities regain significance in a new market economy after a long period of their de-stratification by communist egalitarian policies – such a country should also experience increases in class voting in the new market environment. Using standard loglinear and logistic regression approaches, our analysis confirms that class voting has indeed increased in the Czech Republic, particularly from 1998–2010. That increase is large both in the gross effect of class as well as its effect net of the role of other demographic variables. The Czech Republic is therefore relatively unique among countries examined in the international literature on class voting in having increasing associations across several electoral periods. This chapter provides a detailed overview of the legal framework for binding civic initiatives and referendums in the Czech Republic. After overviewing legislative developments in this area, the chapter analyzes the trends in referendum use, turnout (and its dependency on population size), and campaign organization over the previous decade. The second half of the chapter focuses on the civic organizing behind the 2004 Brno referendum (relating to moving the main train station), and the consequences that it had for post-referendum politics in Brno, especially for the Green Party. About the book: Modern direct democracy has recently become an important element of political life in many countries. These developments can be observed at the national, regional, and local level of political systems. Participation and democracy in local political affairs play a major role in stabilising and developing democratic systems. This volume presents, for the first time, a broad basis of information on the wide variety of local institutions and practice of direct democracy in 19 countries. Country specialists analyze the role of direct democracy in the institutional context and culture of national political systems; political processes of introduction and development of initiatives and referendums; regulations of procedures of municipal direct democracy; the practice of local direct democracy; and the contribution of local direct democracy to democratic development in general. Smith, Michael L. 2011. “Politika odvolání jako inovativní nástroj prosazování transparentnosti a občanské účasti ve slovenské a polské místní samosprávě.” Sociológia/ Slovak Sociological Review 43 (4): 338-361. Download PDF here. In recent years, social scientists have paid considerable attention to the rise of various innovations in the practice of democracy, particularly tools for improving the inclusiveness and effectiveness of citizen participation in politics. However, fewer studies have sought to empirically assess the degree to which such democratic tools actually bring about positive outcomes in citizen participation. This article contributes to that agenda by using several different criteria to assess the practice of local recalls in Poland and Slovakia, the only two post-communist countries where the citizen-initiated recall process is legally binding. Based on original qualitative research, the article finds support to the view that, despite the ‘populist’ aspects of the device, the recall process can play a positive role in fostering citizen participation and the restoring legitimacy to public office when politicians are perceived to abuse their power. 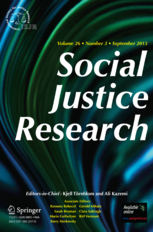 This article examines the relationship between social justice norms and the perceived legitimacy of the social stratification system in the Czech Republic. 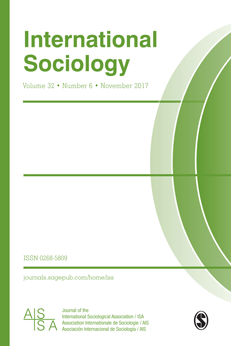 Despite the fact that meritocratic values have remained the dominant part of ideology in the Czech Republic throughout the transformation process, those values have played only a very minor role in fostering evaluations of system legitimacy, such as perceptions of system closure and widespread inequality. This article argues that perceived corruption is the key factor that negatively mediates the relationship between norms of distributive justice and beliefs about social legitimacy, and ultimately plays a major role in reducing the legitimacy of the social stratification system. The main analysis uses a structural equation model based on Czech data from the ISSP Role of Government Survey in 2006. The evidence lends support to the path dependency view of the social transformation process, according to which rampant corruption, which was a core legacy of the market transformation process, continues to shape system legitimacy even in the face of relative economic prosperity of the mid 2000s. Matějů, Petr and Michael L. Smith. 2009. 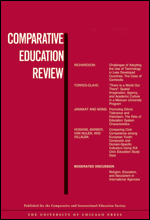 “The Perceived Value of Education and Educational Aspirations in the Czech Republic: Changes in the Determination of Educational Aspirations between 1989 and 2003.” Comparative Education Review 53 (1): 13-39. https://doi.org/10.1086/593151. Download PDF here. This article focuses on the changes in the determination of educational aspirations that took place in the Czech Republic during its social, political and economic transformation. The aim of the article is to contribute to a deeper understanding of the changes in the stratification system after 1989, which were significantly influenced by changes in the causal mechanisms behind the formation of educational aspirations. Those changes in the determinants of educational aspirations were themselves largely driven by the expansion of economic returns to education and thus the increasing significance of education for life success. The empirical research is based on a comparison of data from the ‘Family ‘89’ (Rodina ’89) survey conducted in January 1989 and the Czech module of the longitudinal survey PISA-L 2003. The analyses were carried out with the hypothesis that the social origin of the background family had a much stronger direct impact on the educational aspirations of adolescents in 1989, while in 2003 social origin had a much stronger indirect influence. The stronger direct impact in 1989 was due to the very limited access to higher education under socialism and the role higher education played in the reproduction of the cultural elite. But with the gradual expansion of, and the rapidly increasing returns to, higher education during the transition period, social origin began to have a largely indirect effect on aspirations, particularly through the value pupils began to place on higher education as a means of ensuring a higher degree of life success. The authors’ empirical findings confirm the hypothesis about the change from direct to indirect effects and highlight the importance of researching educational aspirations from a historical point of view and in the context of social change. Smith, Michael L. 2009. (in Czech) Občané v politice: Studie k participativní a přímé demokracii ve střední Evropě. 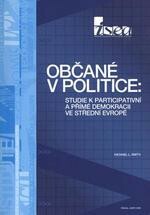 [Citizens in Politics: Studies on participatory and direct democracy in Central Europe]. Prague: Institute for Social and Economic Analysis (ISEA). Download book here. This book contains a collection of essays comparing practices of local direct democracy in Poland, Hungary, Slovakia and the Czech Republic. The introduction and the first chapter introduce some of the core themes of the international research on direct and participatory democracy. The third chapter then provides an analysis of socio-economic determinants of political participation of citizens across European countries. The second part of the book contains five chapters of comparative qualitative research of local direct democracy in the region: 1) a conceptual scheme of referendum campaigns; 2) ideological conflicts in referendum campaigns in Brno (CZ), Sződ (HU) and Łomianki (PL), 3) a comparison of the local recall process in Poland and Slovakia, 4) an analysis of the determinants of voter turnout in local referendums in all four countries, and 5) a comparative analysis of local environmental referendums dealing with wind power plants and biomass plants in the Czech Republic and Hungary, respectively. Some of these chapters have been significantly reworked into journal articles in either Czech or English. If you are interested in these topics, please contact me for my latest draft or analysis of the given issue. This article compares the determinants of political participation, from voting and signing petitions to boycotting, across 23 European countries, posing the question whether and to what degree social inequalities in political participation differ between post-communist and Western countries. The data for the analysis is from the second round of the ESS survey, conducted in 2004–2005. The analysis focuses on the role of education, occupation and gender in shaping the chances of engaging in political action, while also controlling for a range of sociological, political, and demographic variables. Interaction effects between individual variables and a post-communist dummy variable are used to directly compare the statistical significance of the difference in coefficients between post-communist and Western countries. The article finds that the observed effects of the post-communist context are actually accounted for by the indirect effects of a number of individual-level variables. In particular, education, occupation, and gender have stronger effects in post-communist countries than Western countries on many forms of political participation; in other words, the post-communist countries exhibit somewhat larger inequalities in political participation than in the West. This article explores the role of theory-building in social stratification research, proposing a conceptual framework based on social mechanisms and the multileveled nature of the stratification process. Conceptual frameworks, which map out general principles of social organisation and social processes, are useful in guiding researchers’ choice of methods and research resign. The authors argue that the identification of social mechanisms needs to be a core aspect of sociological explanation, and thus integrated into the conceptual frameworks researchers use. They apply social mechanisms to a conception of social change involving micro-to-macro linkages. The resulting conceptual framework is then applied to stratification research, where the authors observe that the micro-to-macro linkage is one of the least explored, and also one of the most promising, areas of future research, particularly for areas of the world undergoing rapid social transformation. Smith, Michael L et al. 2008. (in Czech) Vnímání a realita korupce v České republice. Nové výzkumy, metody a postupy [The Perception and Reality of Corruption in the Czech Republic: New Research, Methods and Approaches]. Prague: Institute for Social and Economic Analysis (ISEA). 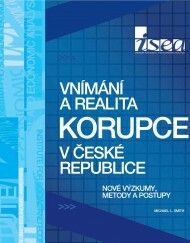 AThis book takes a fresh step back from current debates about corruption and anti-corruption policy in the Czech Republic in order to create a space for developing empirical knowledge about corruption and how Czechs perceive it. While we have an eye towards policy, our main task is create a set of empirical studies that analyze corruption perceptions directly and in depth, using the best international and domestic social surveys available and applying appropriate statistical methods of analysis. Chapter 1 presents a critical overview of the current state of knowledge about corruption in the Czech Republic. Chapter 2 develops a theory of corruption as a form of social injustice, and then defends that theory on the basis of data from the International Social Survey Programme (ISSP), which the Czech Republic has participated in for many years. Chapter 3 analyzes the socio-economic determinants of corruption perceptions across a large range of countries, focusing on the role of social status, trust, bribery experience, contacts, political beliefs and other factors in each of the 30 countries studied. Chapter 4, written by Jan Hanousek and Filip Palda, examines the problem of tax evasion in the Czech Republic using four surveys between 2000-2006, arguing that there has been a decline in tax evasion during much of the 2000s. Chapter 5, written by Charles Kenny, examines what we can say about the extent and impact of corruption in infrastructure in developing countries using existing evidence. The chapter looks at different approaches to estimating the extent of corruption and suggests that there is considerable evidence that most existing measures of perceptions appear to be very weak proxies for the actual extent of corruption in the infrastructure sector. Chapter 6 (again by me) takes an entirely different approach to measuring corruption – through the use of media analysis. The chapter first takes issue with the so-called “corruption eruption hypothesis,” the idea that there has been a dramatic surge in discourse about corruption in Central and Eastern Europe but not in other parts of the world. In reanalyzing the data behind the corruption eruption hypothesis, the chapter demonstrates that the degree of media reporting on corruption has actually corresponded to perceived corruption levels. Finally, chapter 7 briefly overviews current anti-corruption strategies and legislation in the Czech Republic. Highlighting some of the findings of this study, the chapter defends the need for taking seriously indirect or socio-cultural strategies of fighting corruption, in addition to more direct legislative reforms. Matějů, Petr, Petr Soukup, Michael L. Smith and Josef Basl. 2007. 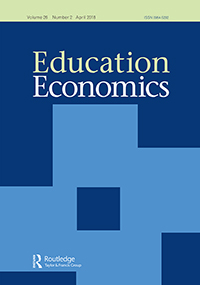 “Determination of College Expectations in OECD Countries: The Role of Individual and Structural Factors.” Czech Sociological Review 43 (7): 1121-1148. Download PDF here. Renowned international experts in higher education financing have argued that, owing to large government deficits, tertiary education will not be able to open up and meet growing demand unless cost-sharing principles and efficient student financial aid programmes are introduced. Opponents of cost-sharing in higher education object that introducing tuition fees will raise inequality in access to higher education. 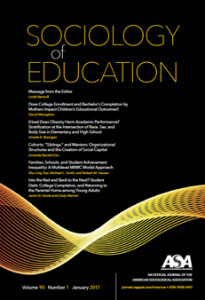 Drawing on OECD data, and focusing on college expectations, the authors argue that the effects of ability, gender, and socio-economic background on college expectations are primarily shaped by the characteristics of secondary education systems, such as the degree of stratification and vocational specificity of secondary schools, while the principal characteristics of the tertiary education system, such as enrolment rates and the model of financing, play a much less important role. 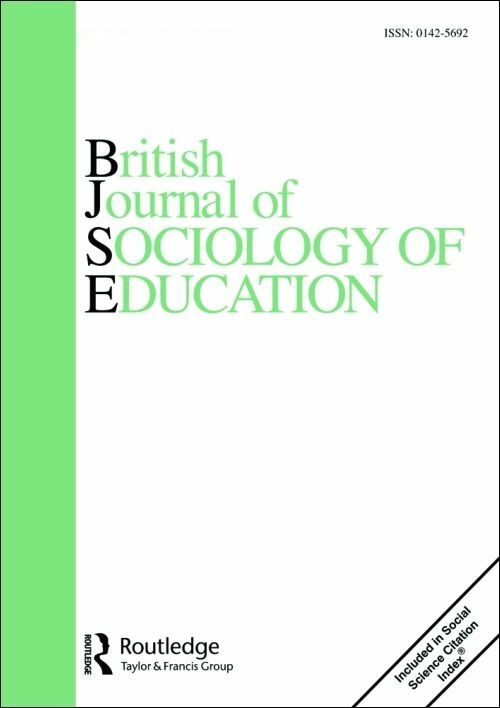 The results clearly show that, after controlling for the effects of secondary school system characteristics, cost-sharing, as such or by degree, does not affect the formation of college expectations by ability, gender, and socio-economic background as much as the selectivity of the secondary school system does. Smith, Michael L. 2007. “Making Direct Democracy Work: Czech Local Referendums in Regional Comparison” in Towards DIY-Politics? Participatory and Direct Democracy at the Local Level in Europe. Bruges: Vanden Broele. ISBN: 978-90-8584-484-6. Download PDF of chapter here. About the book: In many countries, ‘participation’ has become the new mantra in politics. Participatory and direct democracy are seen as a positive complement to their representative counterpart, and sometimes even as its potential successor. In this context, new forms of participation such as interactive policy-making, referenda and participatory budget were introduced. The local level has often been used as the first place to test these new institutional devices. It appeared as an appropriate laboratory to assess participatory democracy. While participatory reforms have been the framework for previous studies, lesser attention is paid to the actual assessment of these reforms. This book tries to tackle this question by focusing on those who govern, the governed and policy-making as the result of their interaction. 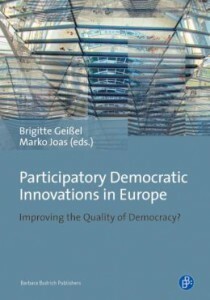 Combining comparative with country-wise studies, this book collects contributions from European experts on direct and participatory democracy and sheds in-depth light on the practices and the challenges for local democracy. My chapter focuses on the case of the Czech Republic, and attempts to explain the puzzle of the non-linear growth of local referendum use in the country, and points to the role of specific civic organizations in developing the know-how to effectively respond to legal challenges local governments put forward against referendum campaigners in the past, and how that know-how spread to other cities in the country. Smith, Michael L. 2007. (in Czech) Přímá demokracie v práxi: politika místních referend v České republice [Direct Democracy in Practice: Local Referendum Politics in the Czech Republic]. Prague: Institute for Social and Economic Analysis (ISEA) and the Institute of Sociology of the Czech Academy of Sciences. ISBN: 978-80-7330-117-0. Download PDF of book here. This book analyzes the problem of campaign success and failure in local civic initiatives in the Czech Republic, situating the Czech experience in the context of neighboring post-communist states. 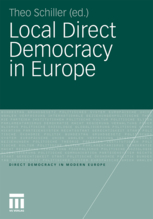 As one of the first empirical studies of local direct democracy in Eastern Europe, the it uncovers new political contexts where traditional accounts of campaign success – such as the role of the ‘initiative industry’ or the use of ‘information shortcuts’ – have little explanatory value. Based on region-specific institutional features of local direct democracy, the study develops a new model of campaign competition in terms of the strategic interaction of proposers, politicians and voters. The study hypothesizes that successful campaigns are most often the product of the proposer’s ability make ‘political threats’ towards political leaders by mobilizing local publics and developing capacities for legal action. The empirical analysis is based on data collected on local civic initiatives and referendums in the Czech Republic for the years 2000-2006 from multiple sources: local and national newspapers; data from municipal, district and regional authorities; open-ended interviews with initiative proposers; an exit poll conducted on one civic initiative in the city of Brno; and census data. The analysis involves the use of multiple research tools, particularly institutional analysis, comparative case studies, and statistical regressions. While the study argues that campaign characteristics are decisive for getting propositions on the ballot, it also discovers that turnout and overall referendum success are significantly determined by factors that proposers cannot directly control (such as demographic variables and issue salience), which highlights the importance for proposers to calculate the prospects of success before launching campaign efforts.